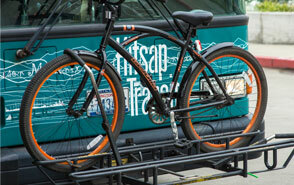 The ACCESS and VanLink programs from Kitsap Transit offer added transportation flexibility outside of our routed systems. For more information, follow the links for each service to learn more. ACCESS Service provides door-to-door or curb-to-curb transportation to the elderly and disabled unable to use the fixed route transit system. To schedule rides on Kitsap Transit ACCESS, you must first complete an eligibility application and receive approval prior to scheduling. The VanLink program is designed to provide local social agencies with vans to transport their clients. This program gives the agencies the ability to schedule client outings, work programs, daycare and training as their schedule dictates.